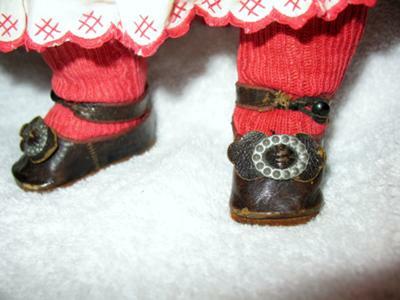 This doll was from a lady named Hattie who died in 1941. 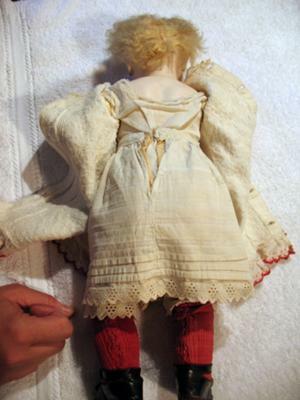 This doll dates about 1880. She has her original clothes. 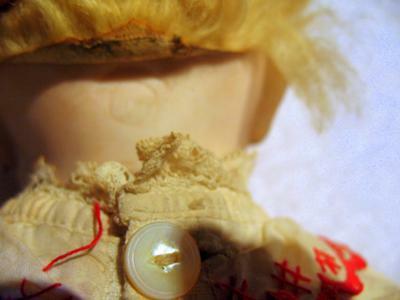 Only damage is her thumb which has been glued back with no missing pieces. She could use a better wig, has mohair. Pierced ears, closed mouth and a couple smudges on face.